Today’s homeowner has become reliant on our household appliances. And while these appliances are there to make our lives easier, there will be times when one or several of them break down over the course of their lifetimes. 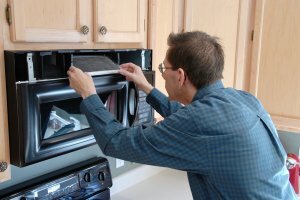 When you are experiencing an appliance malfunction, call the Whitby appliance repair experts at Appliance Repair Express. With over three decades of combined appliance repair experience, you can rest assured that you have contacted the appliance experts to get the job done right. 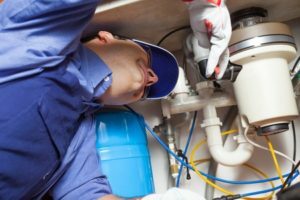 For the service that you can depend on, call the professionals at Appliance Repair Express for all your appliance repair needs. In addition to our expert repair services, we offer professional installations and customizable maintenance programs to increase the longevity and efficiency of your appliances. We operate a 24/7 dispatch team for all your appliance emergencies. Any time, night or day, we can schedule your repair so you can have peace of mind. 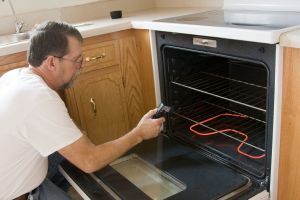 Whenever you call us, we come to your home fully prepared with parts and tools for most of your appliance repair needs. We are able to take on any job, no matter how large or small. With one of the quickest response times of any appliance repair service in Whitby and the GTA, you will never have to wait long for us to be at your home. Today, with so many brands of appliances on the market, it is important to have technicians that are trained to manufacturer standards. This ensures that your technician knows the appliance throughout and any manufacturer warranty will be recognized. As one of the most reliable appliance repair companies in Whitby, we will repair your appliance reasonably and in a timely fashion. Your satisfaction is our priority. Whether we are servicing an appliance, doing a professional installation, or at your home doing a seasonal maintenance, our work and materials are all 100% guaranteed. And since we use all manufacturer approved parts, the warranties on these apply as well. Like any household operating system, your appliances can work more effectively and energy-efficiently with periodic maintenance inspections and tune-ups. When your appliances malfunction or fail to work at their peak performance, it can cause inconvenience. It can also cause your appliance to work with a heavier energy load than one working at its optimum. We can develop a maintenance plan that is tailored to your needs and the appliances in your home. 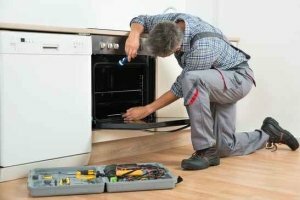 If you are dealing with a malfunctioning household appliance and you need fast and reliable appliance repair services in Whitby, call the experts at Appliance Repair Express. We will come to your home fully prepared with any parts and tools necessary to fix almost any appliance in your home. Call us today to see how having the best quality appliance repair technicians in town can be a lifesaver when you are experiencing an appliance breakdown.